Sold Out! 20th Anniversary Celebration Party Saturday August 25th! This event is sold out! For those who are put on the waiting list, you will be first in line next year if we decide to make this an annual event. 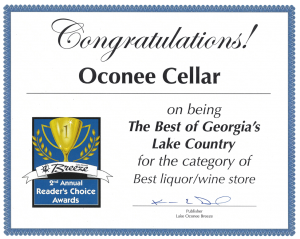 The Oconee Cellar turns 20 years old in August! As we have done in the past, we will have a great sale at the store to celebrate along with lots of giveaways and refreshments from 11:00 am to 1:00 pm on Saturday August 18th. 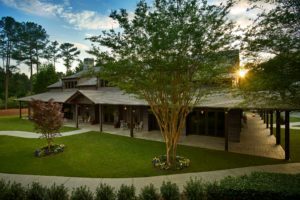 This year we will also be throwing a celebration party on Saturday August 25th at the newly constructed Pavilion at The Ritz Carlton Reynolds Lake Oconee. Guests for the event will enjoy a Southern Flair style meal, signature cocktails, local beers, and an array of fine wines. Guests will enjoy listening to a live band playing your favorite cover songs! 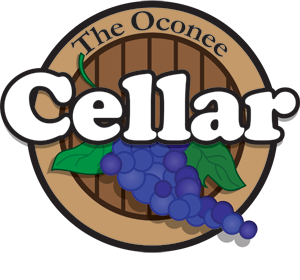 If you would like to attend this amazing celebration, please bring a check or cash for only $50 per person to The Oconee Cellar by Friday August 17th. You will not want to miss this one! We truly hope you can make this unforgettable night of food, libation, and entertainment! Not to mention an opportunity to donate to The Second Harvest (a local charity that helps feed the needy) and the live drawing for a new Hobie Kayak from Singleton Marine.